RESIDENT EVIL: RETRIBUTION – Stars Interviews on Character Changes! 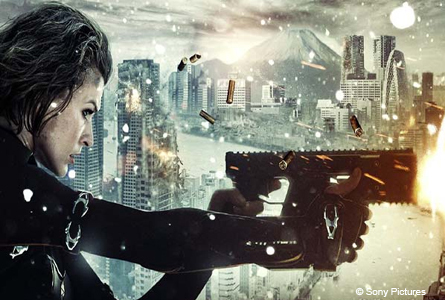 The successful film franchise adaptation from the popular video game series, “Resident Evil”, returns in its highly anticipated fifth installment, RESIDENT EVIL: RETRIBUTION in state-of-the art 3D. 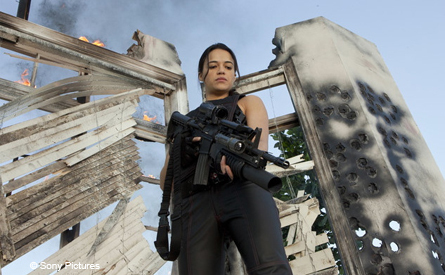 Michelle Rodriguez, triple threat in “Resident Evil: Retribution”. 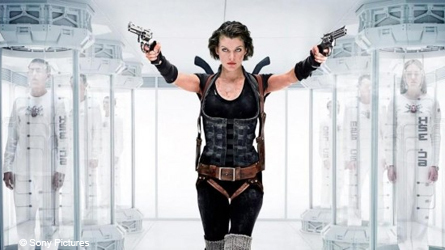 Interviews with actors and film makers below reveal more of the plot line to “Resident Evil: Retribution”. Paul Jones who did the special makeup effects, said, “We’ve been able to play with the look of the zombies. Giving them different genus. So you have a very specific look for the Tokyo zombies” he said versus the Russian military zombies who had to be very decayed and dirty. Anderson wraps-up the the Umbrella Corporation’s intentions, “They have test environments where they populate these environments with clones who believe they’re in the real world. And then the Umbrella Corporation unleashes the bio-hazard upon them and they study to see what the effects are”. 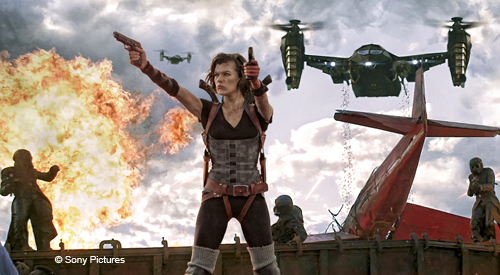 Rodriguez explains the visual differences of “Resident Evil: Retribution” to the typical science fiction film is “There’s an element of daylight” to that is the opposite of most science fiction films which tend to be dark. Rodriguez says that along with the various settings that include New York, Tokyo, Moscow – all elements bring the action film vibe into it she says she thinks fans will love.